A Bloomberg.com article published on Sunday generated a lot of buzz among camera industry journalists and bloggers. The article quotes Nikon President, Makoto Kimura, on the industry-wide decline in compact camera sales, the growth of Smart Phone photography, and what Nikon might be doing to protect themselves in a shrinking point-and-shoot market. But what really got people going was the suggestion that Nikon is working on some sort of secret product, or products, that will address the Smart Phone problem. My answer? Of course they are! The question isn’t really whether or not Nikon is working on a Smart Phone. It’s how soon and how much. They have to be working on some sort of connected mobile device. In fact, last year they introduced a point-and-shoot camera with built-in Wi-Fi, an Android OS and a 3.5-inch touchscreen display, the Coolpix S800c. The only thing missing from the S800c was mobile connectivity. The reality of the camera market is there’s a major technology convergence happening. Although the first camera phones couldn’t really compete with the point-and-shoot cameras of the time, current Smart Phone cameras perform very well. They don’t actually match the quality of an average point-and-shoot camera, but convenience and connectivity wins out for most people. And the sales numbers don’t lie – Smart Phones are taking over the point-and-shoot market. That’s potentially a life and death situation for traditional camera companies. It’s a challenge that has to be addressed if they don’t want to end up like Kodak. Camera manufacturers have been working hard to combat Smart Phones, offering all kinds of new features to entice people into buying new point-and-shoot cameras. The latest, and most compelling effort, is adding built-in Wi-Fi with free Smart Phone apps so you can wirelessly transfer photos from the camera to your phone. That allows you to have the benefits of a real camera – a good zoom, better controls, better image quality, etc., and still have the instant gratification of posting right to Facebook, Instagram, etc. In my opinion, this is the best way to work at the moment. You get photos that are good enough to enlarge and print, and you can still share in the moment, as long as you have a mobile connection. Samsung has taken things a step further with their Galaxy Camera and Galaxy NX, making Android-powered cameras with full mobile connectivity. 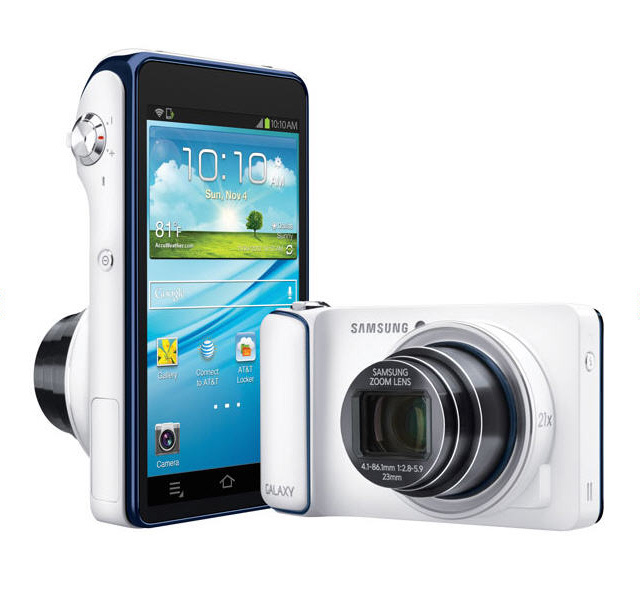 The only thing the Samsung Galaxy cameras can’t do is make a phone call. I would be truly surprised if Nikon and every other camera manufacturer aren’t working on something similar to Samsung’s Galaxy cameras. They are the obvious next step and the camera industry’s best answer to the Smart Phone. 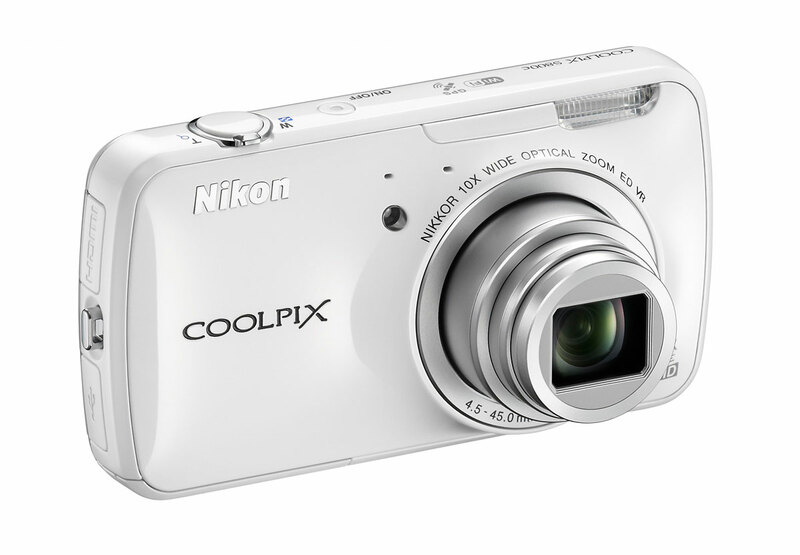 Nikon already dipped their toe in the water with the Coolpix S800c. I fully expect to see a new version in the near future with full mobile service, just like the Samsung Galaxy Camera. These are the compact cameras of the future. This is a great subject for discussion. What do you think about point-and-shoot cameras vs. Smart Phones? Do you think camera companies can compete? What do you think about connected cameras like the Samsung Galaxy Camera and the Nikon Coolpix S800c? I’d really like to hear what the community thinks. When smart phones with their tiny lens compete with point and shoot cameras, all it tells me that many point and shoot cameras have lousy lenses. Point and shoot cameras should fire up much faster and take far better quality pictures. It’s no wonder smart phones are taking over. You make a good point, volks – except I don’t think it’s actually true. If you really compare Smart Phone and point-and-shoot quality you’ll find that even cheap point-and-shoots have better image quality and better lenses – not to mention zooms. I did a close comparison in my Samsung Galaxy Camera review, just to be sure and the Galaxy Camera, which doesn’t have a standout lens or sensor, walked all over my Samsung Galaxy S3 camera phone in terms of image quality. You can see those comparison images in the Galaxy Camera review linked above. I’ve seen some pretty stunning close ups from the Apple I phone, and probably as you suggest that smart phone cameras are good for close ups. It would be interesting to know why smart phones are taking over point and shoot and what segment of the point and shoot market. Is it primarily the low end of the point and shoot market ? Thanks John, I will check out Galaxy link. I think the good Smart Phones actually have very good camera, volks. But the smaller sensors, minimal controls and tiny fixed lenses just don’t offer much, in my opinion. Almost any decent point-and-shoot will give you more. However, Smart Phones are good enough now, that most people don’t care if they can have more. The convenience of having one device in your pocket that can do it all wins. So if the camera companies want to compete, they need to either convince people that point-and-shoots are better, which they haven’t been able to do. Or they need to make a competitive device. 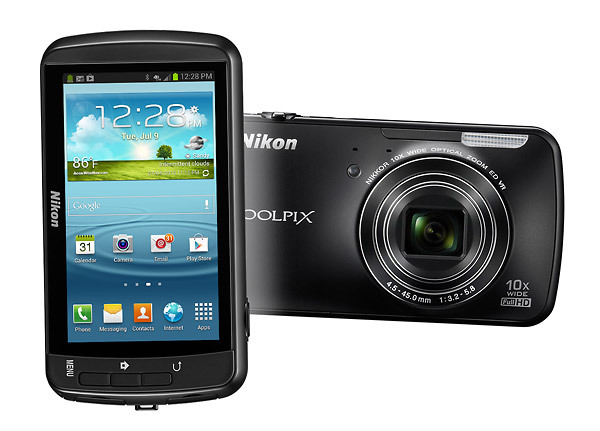 As I said i this article, Nikon tested the water with the Android-powered Coolpix S800c. But I don’t think they went far enough. Samsung s the only company who really jumped in. Unfortunately, I think the Galaxy Camera is too big, too expensive and doesn’t perform well enough. But they’re on the right track.